Motion software can include motion control application software and also product specific software for controls and drives. 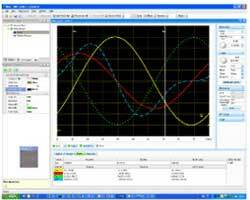 Motion control application software can be a faster way to design and develop systems optimized to meet application goals. It can simplify integration and build modular motion applications that are highly interoperable and scalable. And faster, more precise motion can make your machine more efficient and productive. Software is also used for configuration of drives and controls. Motion software can be open source or proprietary, stand-alone or bundled with products or systems.